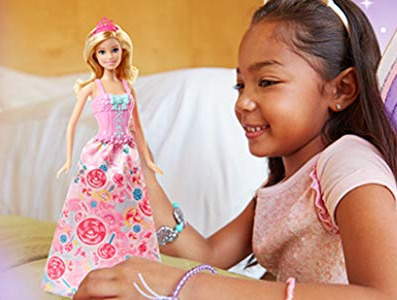 Amazon is currently running a lightening deal selling the Barbie Dreamtopia Fairytale Dress Up Doll for only $14.15 (was $29.99). Create your own happily ever after with this fairytale gift set that includes Barbie doll with three complete character outfits -- a princess, mermaid and fairy! 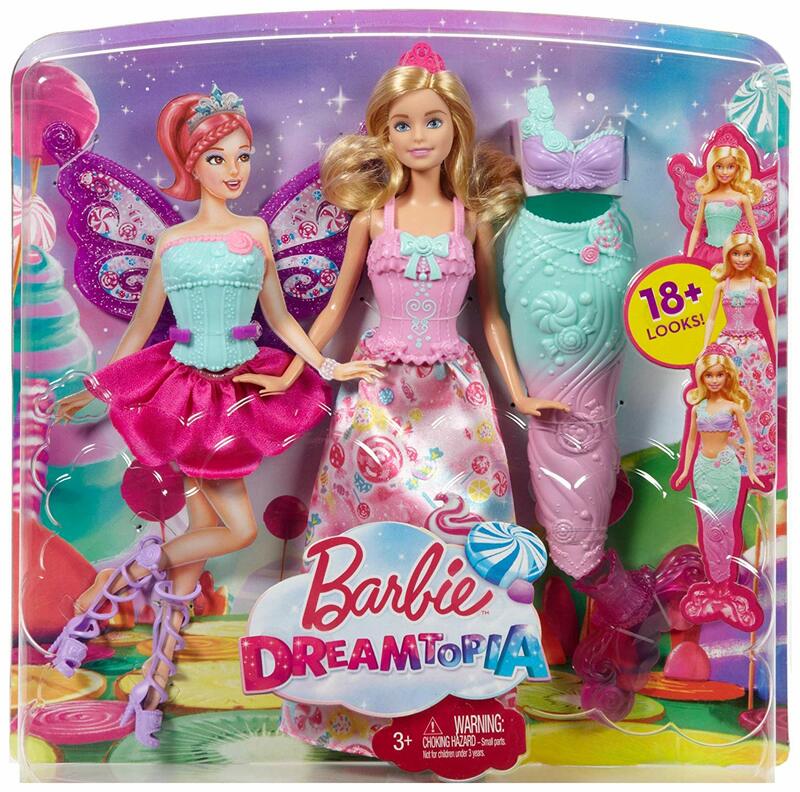 Inspired by her candy kingdom, Barbie doll looks positively sweet in looks decorated with candy colors and accents.